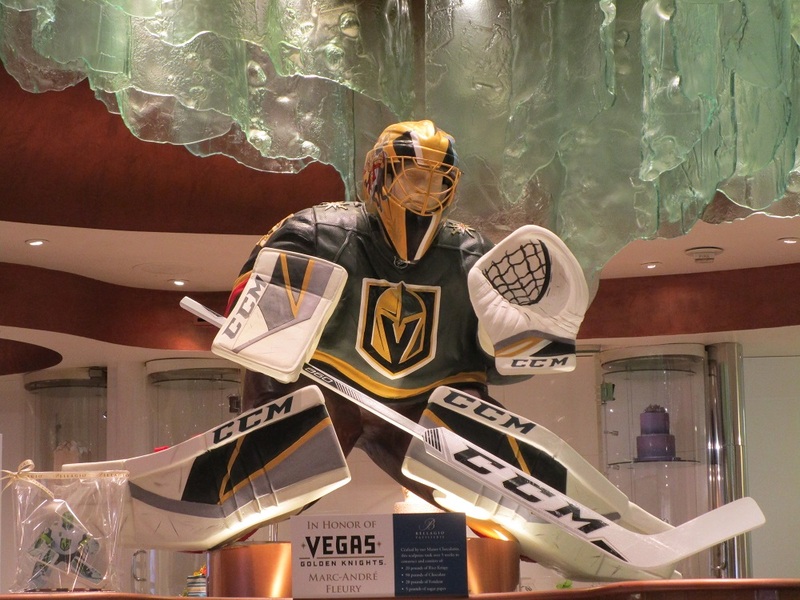 Marc-André Fleury gets his own sculpture made from chocolate. And why not? He’s not only the goaltender for the Las Vegas Golden Knights, but is the anchor of the team. You can see the sculpture in the Bellagio at their chocolate shop down the corridor from the conservatory that is next to the registration/lobby area.